We just got back from a short road trip to the Great Smoky Mountains. 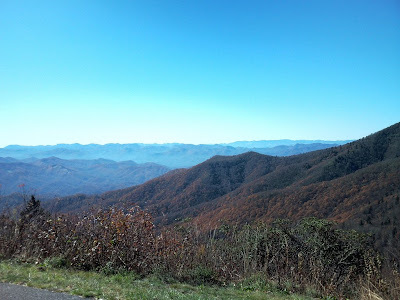 If you have never drove up the Blue Ridge Parkway, you have missed a million wonderful sights. From Nashville, TN it is about a 6-7 hour drive to some of the most beautiful scenery in the world. Just thought I would share one of my pictures. I hope you are able to see these mountains for yourself...soon.